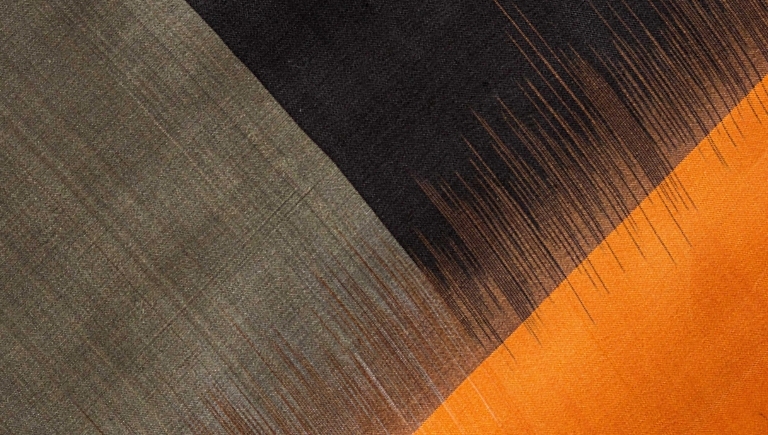 Inspired by Mark Rothko’s abstract paintings and the traditional technique of Ikat practiced in the neighbouring state of Andhra Pradesh this collection of Silk stoles and sarees uses vivid colours, which gives an overwhelming sensory experience. 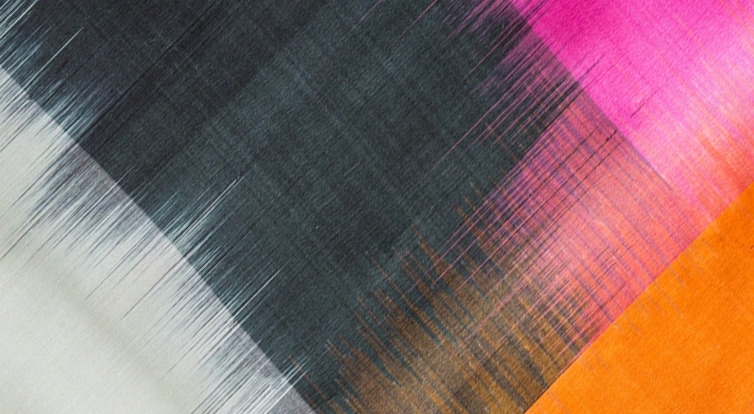 The resist dyeing technique of Ikat, where the warp, weft or both are tye-dyed to achieve multiple colours, creates soft blended edges within one piece. With subtle colour shifts, each piece is unique.